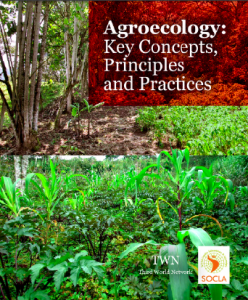 Agroecology is a scientific discipline that uses ecological theory to study, design, manage and evaluate agricultural systems that are productive but also resource conserving. Agroecological research considers interactions of all important biophysical, technical and socioeconomic components of farming systems and regards these systems as the fundamental units of study, where mineral cycles, energy transformations, biological processes and socioeconomic relationships are analyzed as a whole in an interdisciplinary fashion. 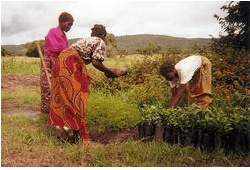 Agroecology is concerned with the maintenance of a productive agriculture that sustains yields and optimizes the use of local resources while minimizing the negative environmental and socio-economic impacts of modern technologies. In industrial countries, modern agriculture with its yield maximizing high-input technologies generates environmental and health problems that often do not serve the needs of producers and consumers. In developing countries, in addition to promoting environmental degradation, modern agricultural technologies have bypassed the circumstances and socio-economic needs of large numbers of resource-poor farmers.